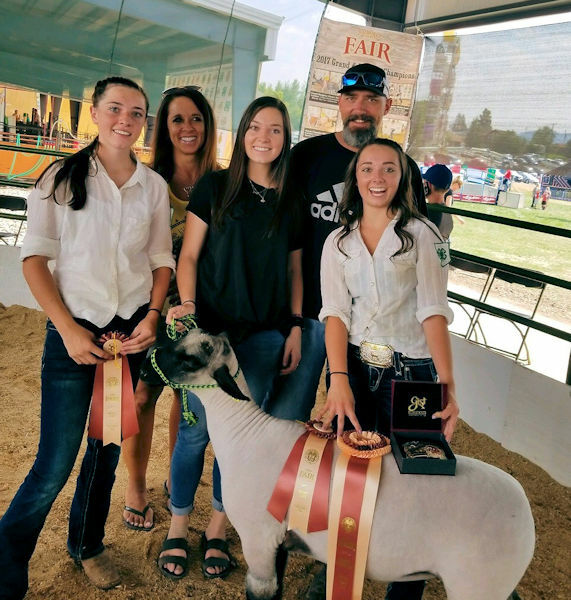 Cody Snyder (back right) and his wife, Jill Snyder (back left), attend a county fair with their three daughters where their sheep are shown. Photo courtesy of the Snyder family. 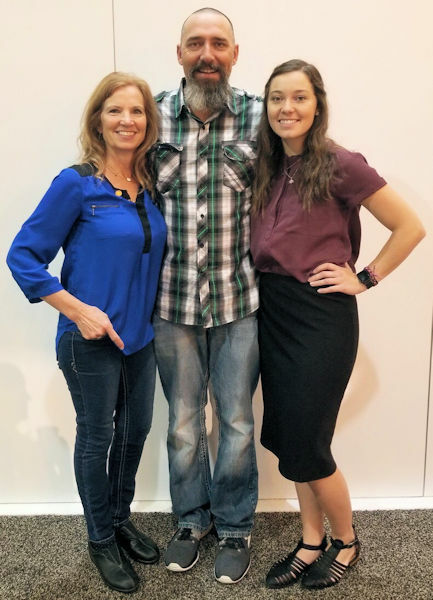 When Cody took a job at the water reclamation facility (WRF) in Snyderville Basin Water Reclamation District (Park City, Utah), he did not know the event would mark the beginning of a lifelong career. Cody is now a superintendent overseeing the district’s two WRFs in a mountain resort community. During the past 2 years, a $50-million expansion and upgrade of the Silver Creek WRF has added complexity to the work. Ski season also contributes other challenges. Jill, Cody, and Jade gather for a family picture. Photo courtesy of the Snyder family. Cody has developed a reputation for being expert in wastewater. The 23-year Water Environment Federation (WEF; Alexandria, Va.) member has served as a judge in the Operations Challenge at WEFTEC and competed four times nationally with Utah’s All-Star team. Despite his national notoriety, Cody has not forgotten his roots in sheep farming. He remains active in his hometown of Peoa, Utah, where he raises sheep to show at 4-H events and manages land for the annual county fair. This is one way he stays close to his oldest daughter, Jade, who has entered sheep in 4-H competitions at the fair for the past 9 years. Jade (center) participated in the Water Environment Federation (WEF; Alexandria, Va.) Student Design competition at WEFTEC 2018. Her Utah State University (Logan) team – Todd Keniry, Ben Sandberg, Dominique Bertrand, Avery Holyoak, and Ryan Dupont – stand with 2018–2019 WEF President-Elect Jackie Jarrell. Photo courtesy of Oscar and Associates. Jade is now a senior at Utah State University (Logan), where she is studying civil engineering and is active in the student chapter of the Water Environment Association of Utah. She joined the university’s “Aggie Blue” student design team. 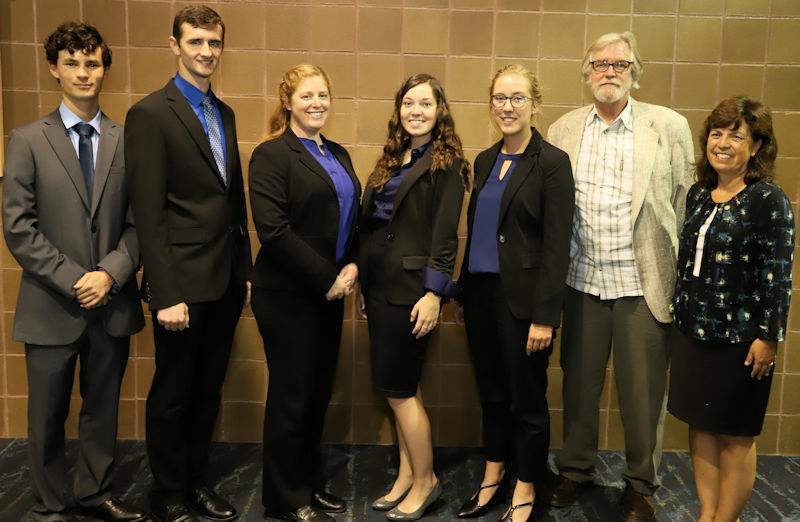 During the WEF Student Design competition at WEFTEC 2018, the team presented their project proposal to maximize the anaerobic digestion process. Her team earned second place in the engineering category at the competition. Jade attributes her interest in a water career to a variety of influences. “My dad definitely guided me to wastewater when he took me on tours as a kid. I also met with an engineer at Carollo Engineers [Walnut Creek, Calif.] who educated me about the treatment plant design process. Learning about the process is so much cooler than people think,” Jade said. Jade has completed three successful internships, including one with the Central Valley Water Reclamation Facility in Salt Lake City. Next year, she plans to pursue a master’s degree in environmental engineering with a wastewater emphasis. The joy of learning and an appreciation for how WEF supports it, appears to run in the family.